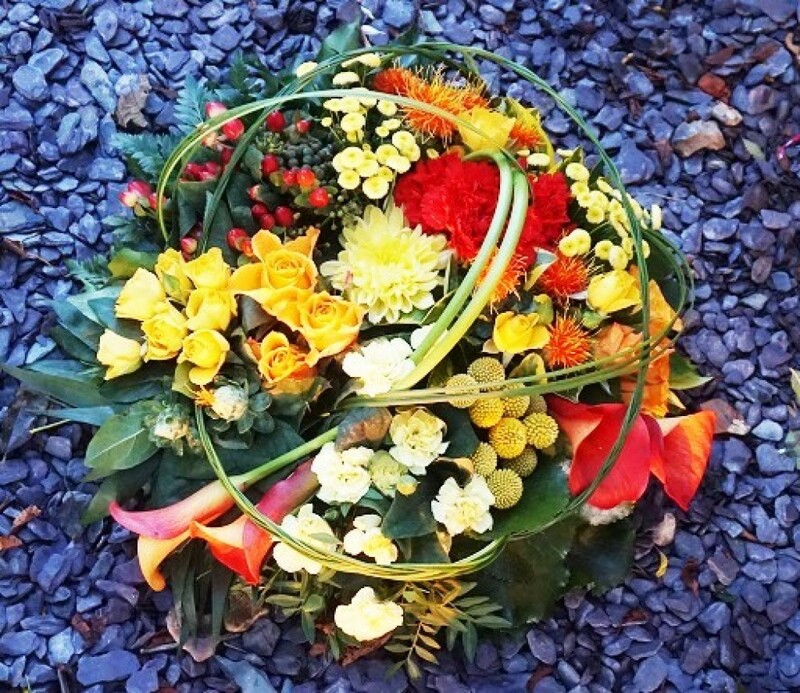 This posy is bright, vibrant and provides an instant burst of colour. If you are looking for something a little unique and different then this is the perfect tribute for you to send. This posy includes a bright selection of flowers and foliage including Calla Lilies, Roses, Carnations, Hypericum Berry and Craspedia. A beautiful grouped Posy arrangement which has been arranged in water retaining foam (oasis) to ensure maximum freshness.